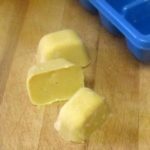 So first, I made roux cubes with whole wheat flour, and wrote about them, because I found them so convenient. 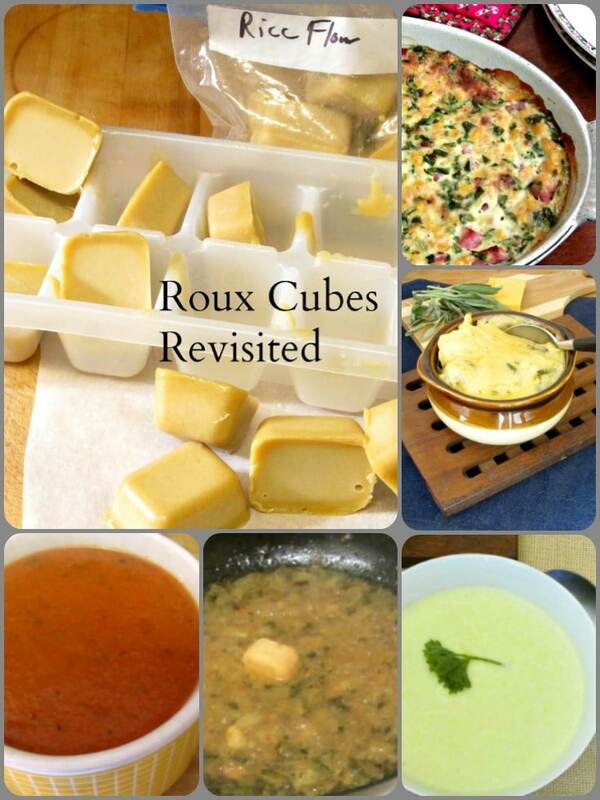 But with a roux cube from my freezer, I can make a white sauce in five minutes! 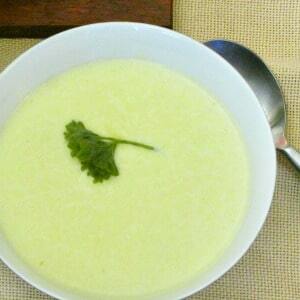 From there, a cream soup, or a cheese sauce follows easily. Or I can, just as quickly, make gravy from the broth in which I poached chicken, or even a can of broth! 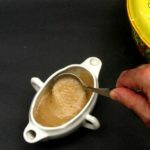 So far as I can tell, I invented these (though I can’t believe no one else has had the idea…) I’d read about chefs making roux in bulk and keeping a jar on hand – but I didn’t use it often enough for that to make sense, so I froze it. And then discovered that the frozen cubes are so much easier to use! 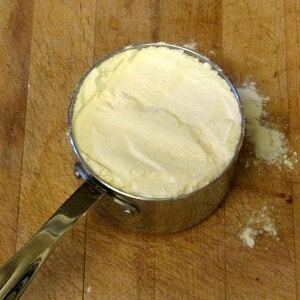 The roux melts gradually off them, without lumping, without fuss. Just pop a cub into the liquid and stir the pot occasionally, and you’re good! And while gluten free cooks are a bit more apt to get one, they’re not likely to have one already when this is all new to them… And in many ways, those of you I most want to reach with this are those still wondering what you can eat, now that you’ve been given the daunting list of foods to avoid! And if my post makes that process feel more complicated, instead of easier – well, I’m missing the boat. At the same time, we find ourselves learning the properties of different flours. I don’t use a standard commercial replacement here. For one thing, all of them that I have seen have an assortment of different starches (cornstarch, tapioca and the like) that behave radically differently in a sauce than wheat does. For another, they all have different assortments… So I’m really not sure how your flour will work. I have tried several different flours in the roux, and I find that the best are millet and brown rice. And in fact, while I can (and do) use one at a time, mixing them seems to give me the best results. Rice flour seems to do a better job of taking up fat so you don’t end up with greasy gravy, but I’ve found millet to thicken a little better… On the other hand, millet cooked in hot oil will brown a bit, giving you a light brown roux which you may prefer for gravy. (Butter at that heat would brown but then burn, so if you want that, I strongly suggest using olive oil.) You can see how different the roux looks at the same stage in cooking, so if you try one flour and then change to the other, don’t be startled. And I have used different fats. Since I seem to use the cubes mostly in white sauce I prefer butter for the flavor, but olive oil also works, and I used it here. The key is that it must solidify when frozen – otherwise it just doesn’t work. For that matter, even olive oil is a little trickier than butter, as frozen butter is harder, but the difference is not enough to cause a real problem. 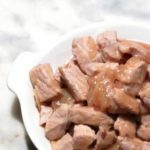 You could use lard – I am experimenting with that for a specific purpose – and I assume you could use coconut oil, but in both cases the flavor might be an issue in some recipes. Choose what works for you. Start heating four ounces of oil (or butter) in a heavy fry pan that will give you even heat. Add the flour, then paste it in with a silicone spatula, Once it is smooth, continue stirring, and cook for about ten minutes to make sure the flour is fully cooked. 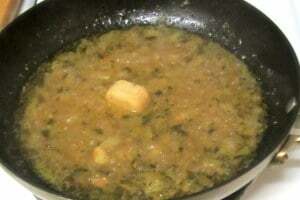 (For more detailed directions – especially for cooking with butter – see the earlier post.) Let the roux cool thoroughly, then spoon it into sixteen sections of an ice cube tray, and freeze. I hope you find them as convenient as I do! And I would love to hear how you use them – gravy, sauce, soup? 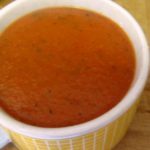 Your own favorite recipes? 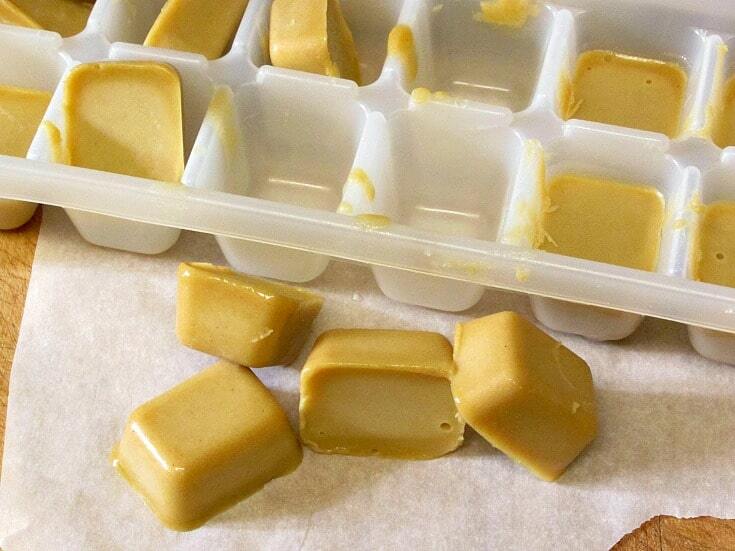 Use homemade roux cubes for quick and easy (and gluten free!) sauce, soup, or gravy. No need for packages or cans! Put oil in a heavy pan. Add the flour, and paste it in until smooth. Heat it, stirring, until the oil is hot, then stir for five to ten minutes until the flour is fully cooked and a roux has formed. Let cool completely. Spoon into sixteen compartments of an ice cube tray, and freeze.